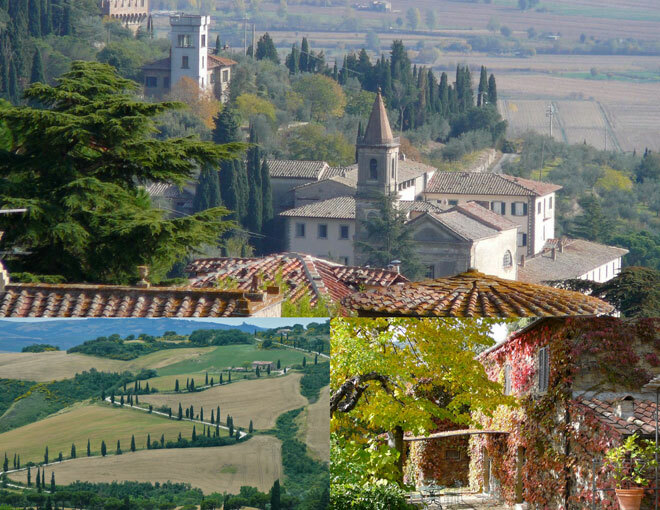 Tuscany – it evokes dreams… Rent a villa in Tuscany…set amidst the vineyards, winding roads, cypress trees, …renting a villa in Tuscany ..Everyone’s dream is different…come experience yours. Each area of Tuscany has different things to recommend it: the main areas of Lucca ( a lovely walled town west of Florence – not far from Pisa) - the Chianti area – which is the heart of the Italian wines we all know so well – with little villages and winding roads and the area around Cortona – made famous by the book “under the Tuscan Sun” - which has some lovely well priced properties. The val d’Orcia – the calendar photos of Tuscany…. Umbria – rent a villa in Umbria – does not always spring to mind – often overshadowed by neighbouring Tuscany… Umbria offers quaint hilltowns, beautiful vistas, long winding ‘strada bianca’ – unpaved roads to amazing private villas, restored farmhouses; amzing frescos on hidden church walls, beautiful fields of sun flowers, towns set on rocky cliffs… well worth a look – especially if you have been to Italy before; if the ‘main sights’ sight seeing is not the first thing on your list – then Umbria is a great choice, that being said – driving a bit further still allows you to see these too..